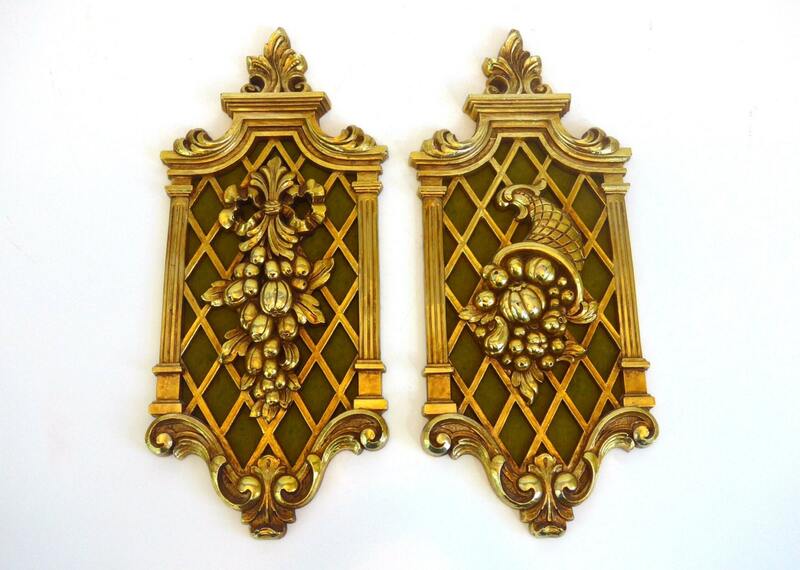 This pair of burnished gold colored wall hangings in an ornate rectangular shape that were made by Dart Industries. They have the Copyright by Dart and are dated 1971 on the back that is covered with green felt now. 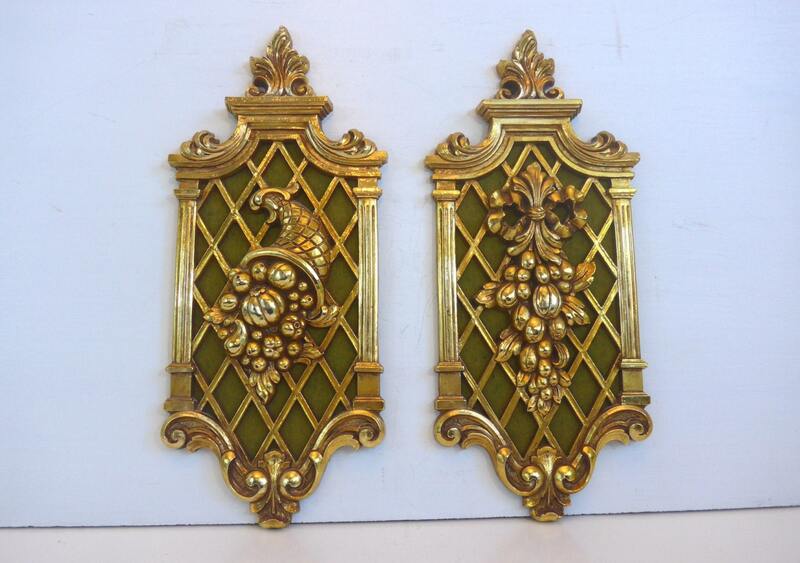 They are 2 matching yet different wall hangings that are very Hollywood Regency. One has a cornucopia in the center and the other has a cascade of fruits/vegetables coming down from a top ribbon. They are identical in size and shape. 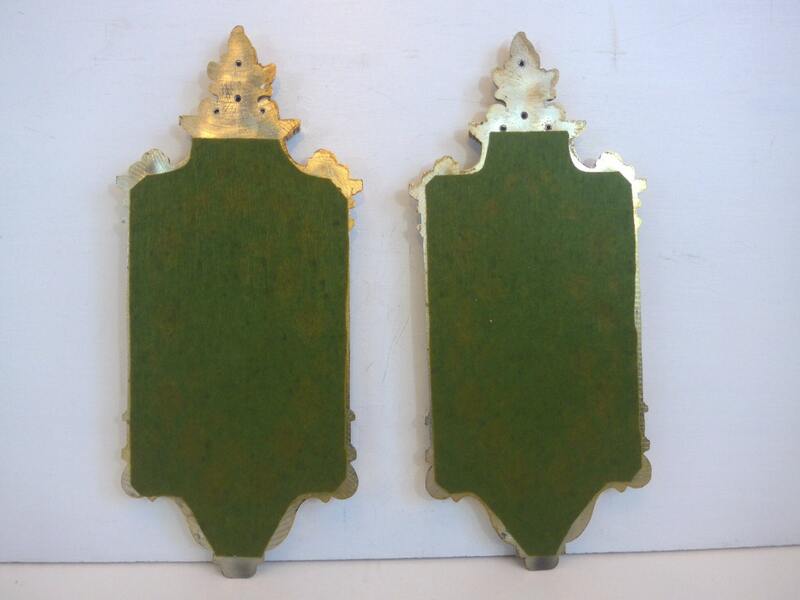 These mid century wall hangings have holes in the back for some type of hanging attachment of your choosing. Looking on the back of each, there is olive green felt in the center section covering what would be open lattice work. I left the felt on but it believe it could easily be replaced as it is glued in place. 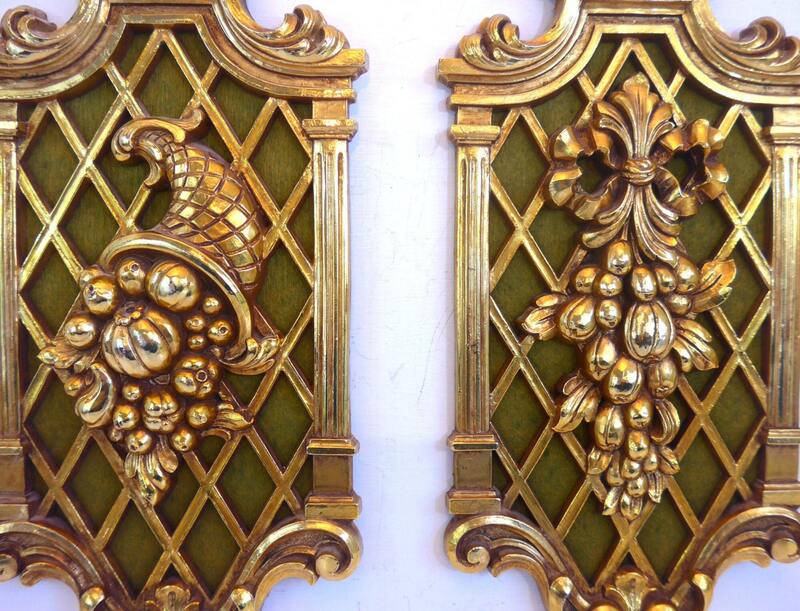 Looks brass but material is plastic or Syroco - the finish is so much like metal it fools you and is very lightweight. 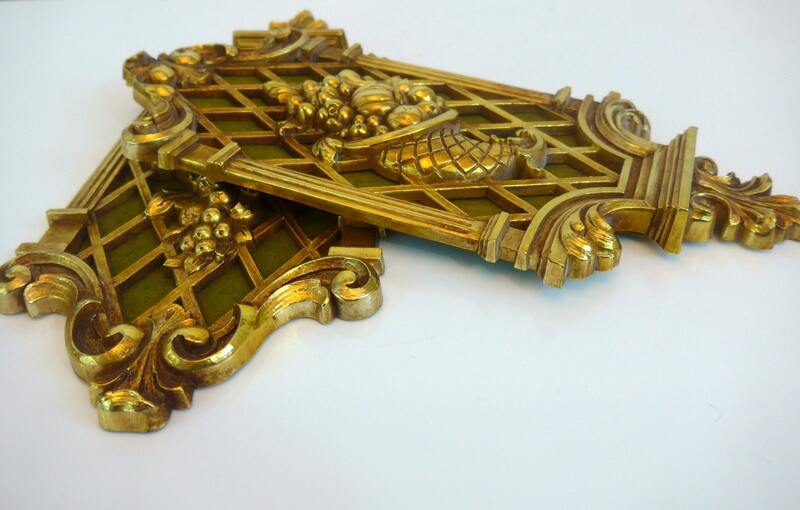 Considering these are mid century items they are in good vintage condition with no chips or cracks. Finish is very shiny.